There was a line of fellow competitors waiting to congratulate Eric Navet (FRA) following his victory with longtime partner Catypso in the $75,000 CSI4*-W Steel-Craft Doors Cup at the Thunderbird Showpark Summer Fort Festival in Langley, BC. Navet will jump Catypso in the week’s feature event on Sunday, the $145,000 CSI4*-W Longines FEI Jumping World Cup™ Vancouver, presented by Facet Advisors. 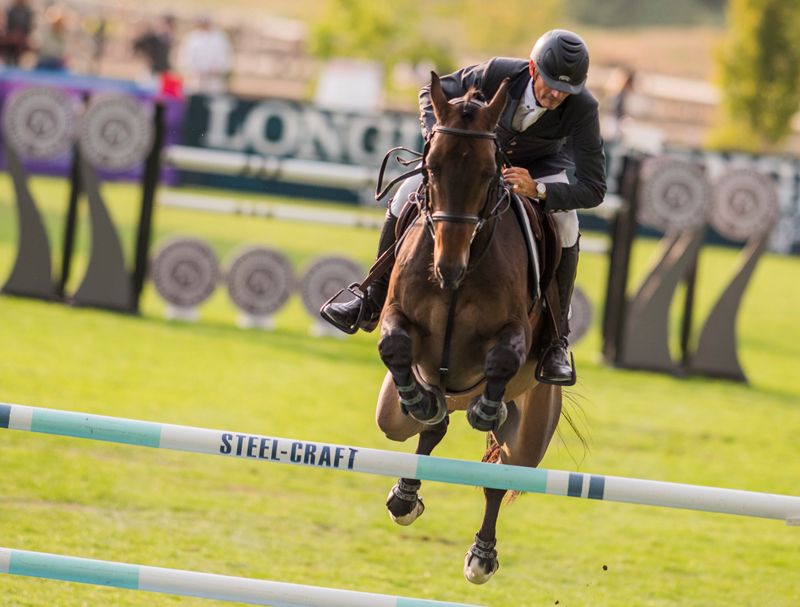 The first leg of the 2018/2019 Longines FEI Jumping World Cup™ North American League, the competition will take place at tbird at 2:00 PT.